By popular demand, the Creative Arts Center will offer another Acrylic Painting Class beginning Wednesday, April 3. The class will be taught by Katherine Kluger and will run from 1:30-3:30 p.m. weekly for six weeks. The cost of the class is $150 and there is a supply list, available at the arts center. For students convenience, there is a budget supply list and a regular one. Advance sign up is required by calling the center at 903-640-2196 and paying by credit card over the phone or by stopping by the center at 200 W. 5th Street in Bonham, one block off the Bonham square. Students will study basic techniques, paint a variety of subjects and no experience is required. Participants must be at least 16 years of age. Whether you paint portraits, landscapes or abstracts, knowledge of color is tantamount to success at paintings that “wow” the viewer. The science of color is about contrast, light and dark, hue and value. The popular technique of Acrylic Pouring has brought art into the homes of many folks who never dreamed they would paint. And, it’s fun! 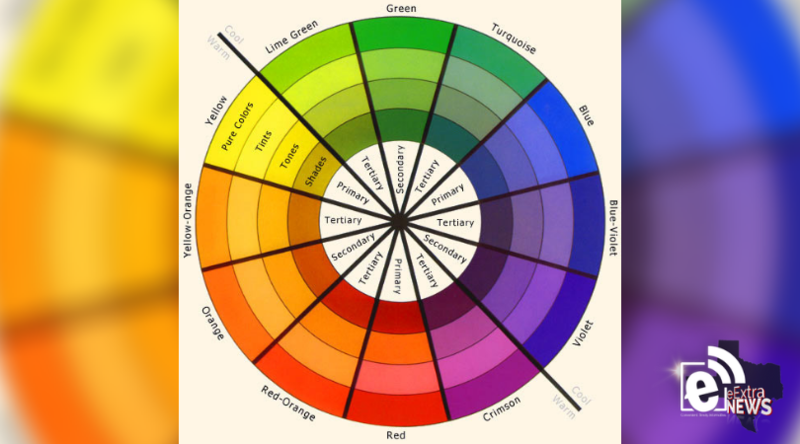 To produce more paintings that “wow”, a Color Wheel Workshop will be offered at the Creative Arts Center from 9:30 to 12:30 on Saturday, April 6. In this workshop, participants will make their own color wheel, learning color theory along the way. The cost is a minimal $5 for supplies which are included in the workshop, taught by Katherine Kluger. Why do red and green work together with the way they do? Why do blue and yellow make such a great contrast? Why does color affect us the way it does? Learn these things and more at this great workshop, suitable for all levels of experience. Pour painters will benefit by learning which colors to use to make their paintings pop. Please make your reservations for the workshop by calling the Creative Arts Center at 903-640-2196 or by stopping by 200 W. 5th to get on the list. The Creative Arts Center has issued a call for art for its “Trees Speak” Exhibit which goes up in the gallery on Friday, April 5. The tree theme fits in with National Arbor Day each April and requires that a tree or trees be the focal point of the art. All media will be accepted. Artist members of the Creative Arts Center may enter 3 works of art for no charge and non-members may enter 3 works of art for $25 per person (not per piece of art). Artwork may be listed for sale. All exhibits at the CAC are open for entry to anyone in the community and youth may always enter at no charge for any exhibit. The gallery commission on sales of artwork is 20% and more information is available on the CAC website at www.creativeartscenterbonham.com. Entry forms are also available for download. For other information or questions, call the center at 903-640-2196 or stop by the gallery at 200 W. 5th Street in Bonham.